Dennis Dayman has more than 17 years of experience combating spam and security issues, and improving e-mail delivery through industry policy, ISP relations and technical solutions. 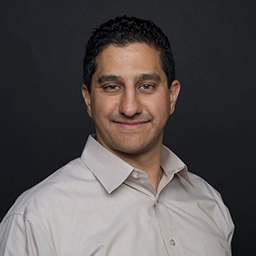 As Eloqua's chief privacy and security officer, Dayman leverages his experience and industry connections to help Eloqua's customers maximize their delivery rates and compliance. Previously, Dayman worked for StrongMail Systems as director of deliverability, privacy and standards; served in the Internet Security and Legal Compliance Division for Verizon Online; was a senior consultant at Mail Abuse Prevention Systems (MAPS); and started his career as director of policy and legal external affairs for Southwestern Bell Global, now AT&T. He is a longstanding member of several boards within the messaging industry, including serving on the Board of Directors of the Messaging Anti-Abuse Working Group, as well as service on the Coalition Against Unsolicited Commercial Email, Educational Advisory Board of the International Association of Privacy Professionals, Email Sender and Provider Coalition and Email Experience Council. Dayman is actively involved in creating current Internet and telephony regulations, privacy policies and anti-spam legislation laws for state and federal governments.